Drama King - 8 ml Satin8 mil. Microporous gloss photographic paper. A highly opaque instant dry, high quality, gloss photo paper. Drama Queen - 8 mil Gloss8 mil. Microporous gloss photographic paper. A highly opaque instant dry, high quality, gloss photo paper. Resin coated front and back. Instant laminating post printing. 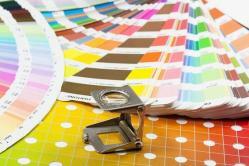 Engineered for wide format full color printing with water based and pigment ink systems. Long John Photo Gloss- 7 milA 7 mil. photo alternative media, which has a gloss of 80%. The media is also resin coated and the whiteness is 110%. Handles heavy ink load from all thermal inkjet printers and plotters. Pricing listed below is per roll. Long John Photo Satin- 7 milAn 7 mil. photo alternative media, which has a gloss of 80%. The media is also resin coated and the whiteness is 110%. Handles heavy ink load from all thermal inkjet printers and plotters.